This beautiful bead crochet kit includes all the beads you need to make this lovely bracelet, including high quality crochet thread. It also includes the downloadable pattern and complimentary Hints document, which gives you invaluable bead crochet information, including the invisible joining instructions. 1. 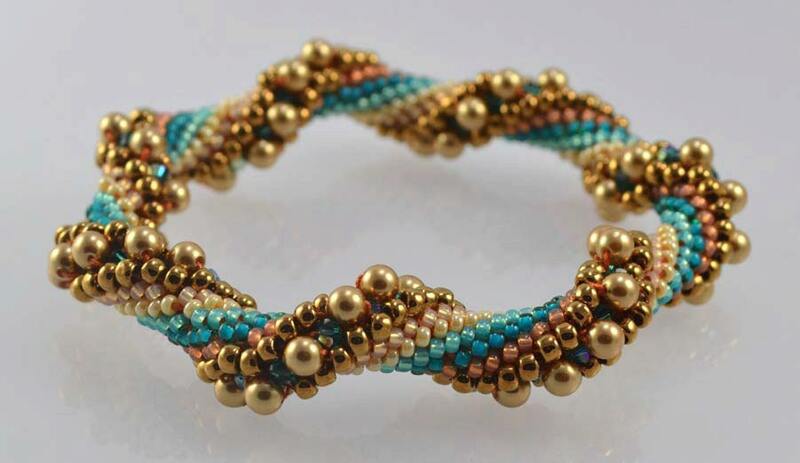 Original colorway shown as example - Green - Original color consists of creamy vintage gold pearls, blue zircon Swarovski crystals and peach, teal, dark peach and bronze high quality seed beads. 2. 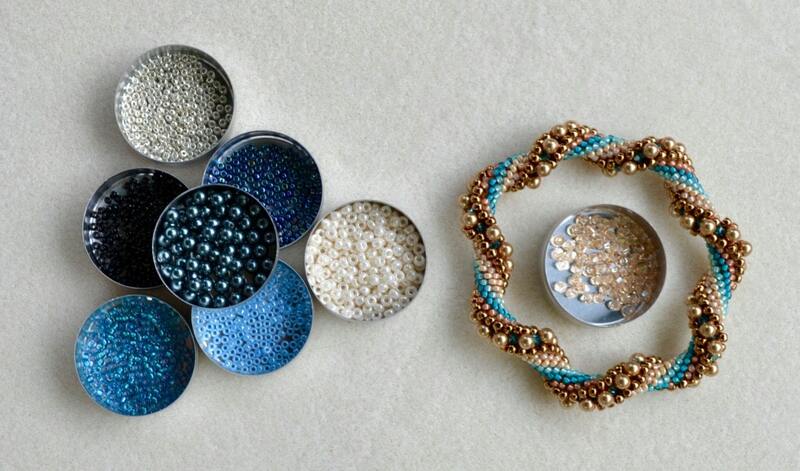 Blue - Golden shadow Swarovski crystals, Swarovski dark grayish blue pearls, and silver, blue, light cream and black high quality seed beads. 3. 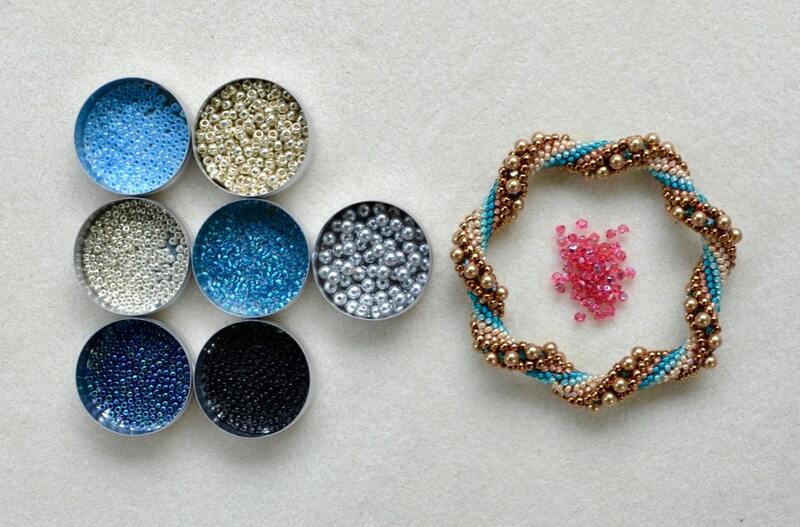 Pink & Blue - Pink Swarovski crystals, light silvery gray Swarovski pearls, and silver, blue, light cream and black high quality seed beads. 4. 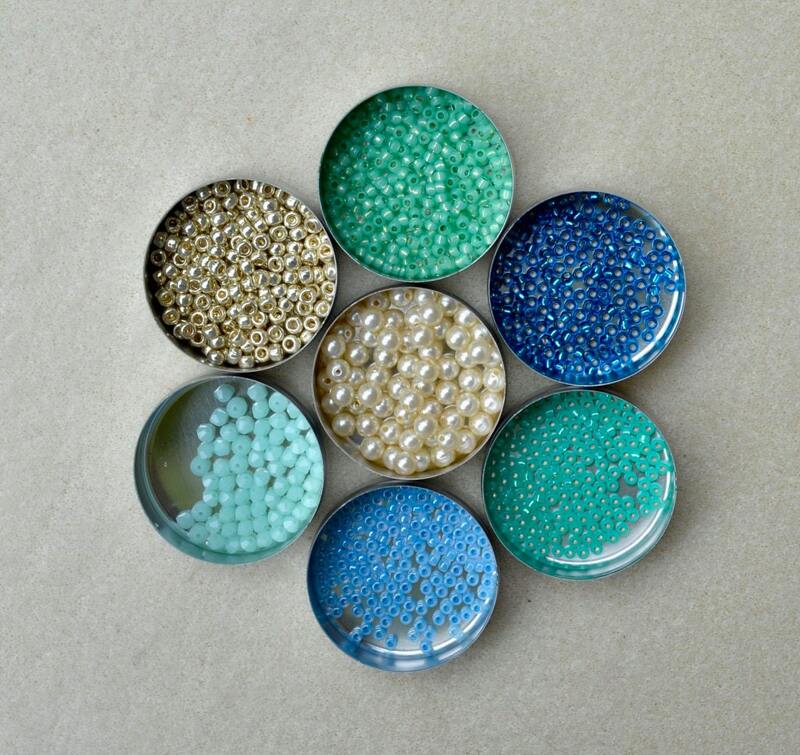 Greens, blues, silver, white creamy Swarovski pearls and Swarovski mint alabaster crystals. 5. 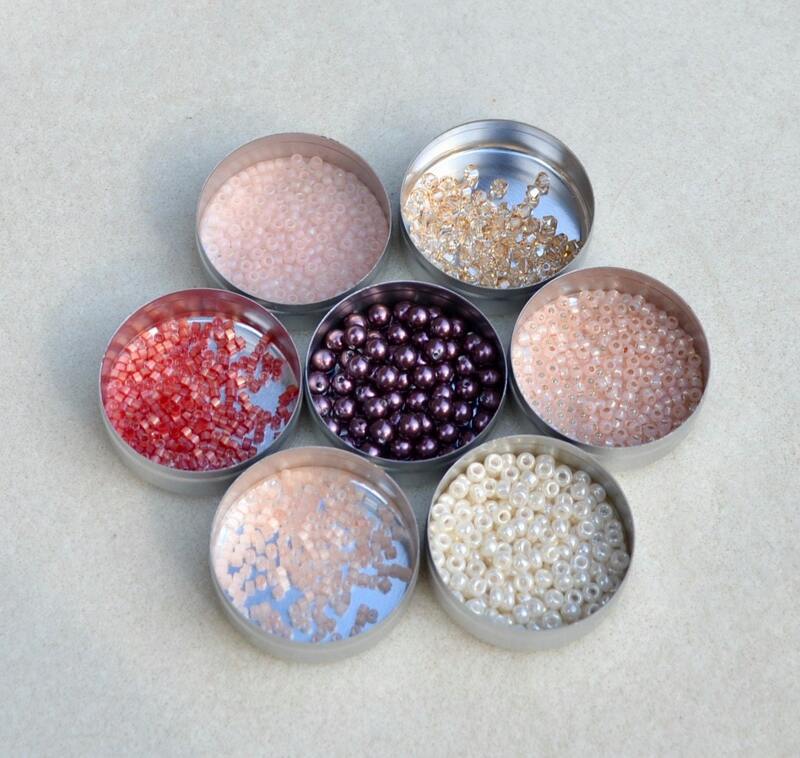 Light Pink Desert - soft peachy pink, salmon, white, Swarovski burgundy pearls and Swarovski Golden Shadow crystals. This project uses a size 8 crochet hook. ###### PATTERN and HINTS DOCUMENTS will be emailed to the email address provided within 24 hours after purchase. ###### We apologize for this inconvenience.